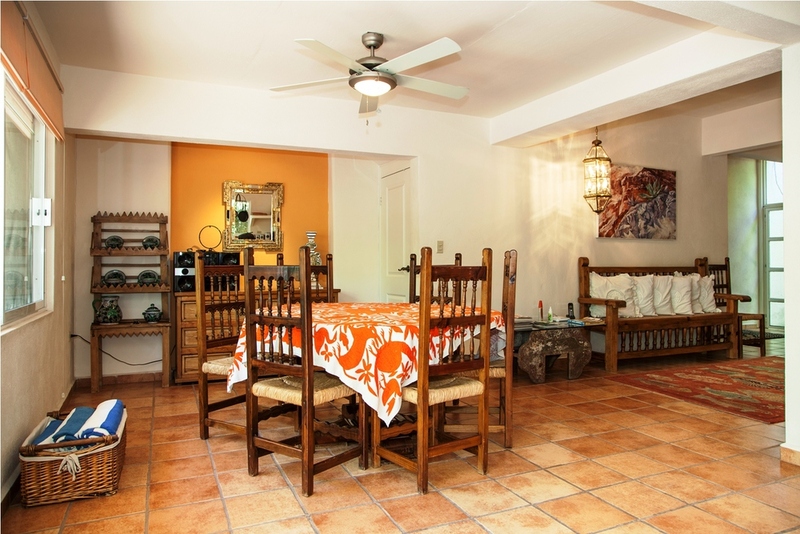 This vibrant residence has an intriguing interior design and is decorated with traditional mexican furniture. 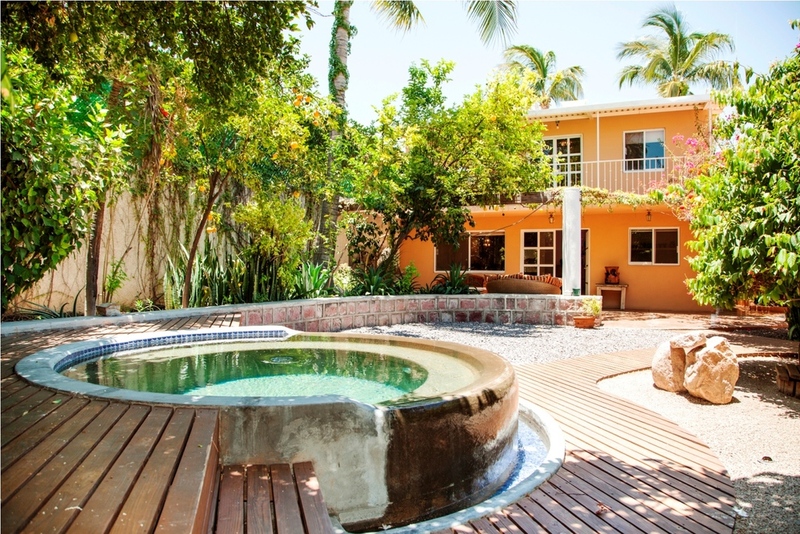 The garden has a shaded patio, a pool, a mural water fountain, and a colorful diversity of plants, flowers and fruit trees. 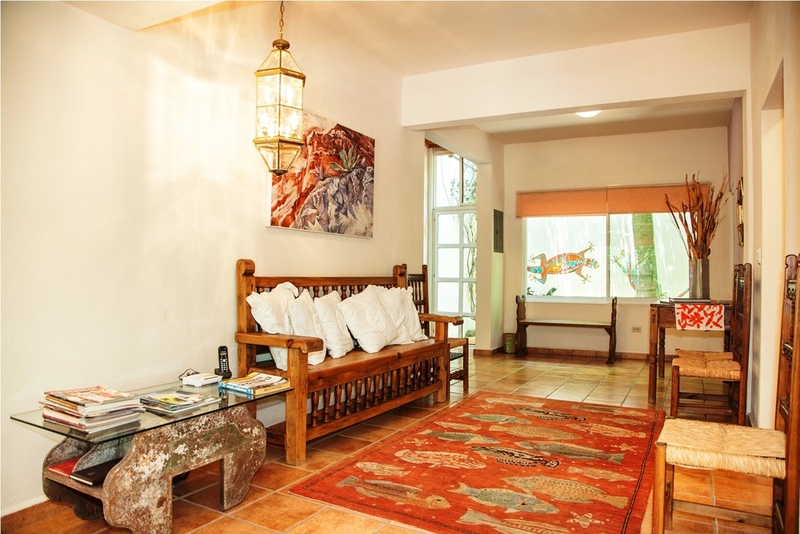 Cleverly tucked away, this home is located in the center of La Paz, only a few blocks from the sea.